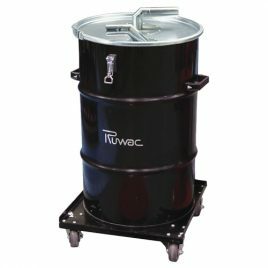 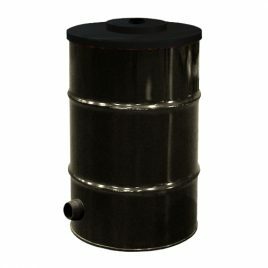 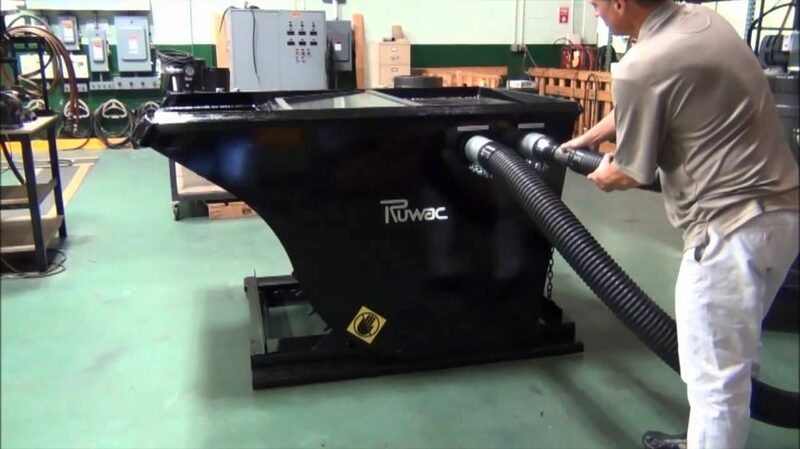 For collecting very large quantities of material, the use of Ruwac’s dumpster separator will help reduce time and labor while keeping your vacuum filter clean and maintenance free. 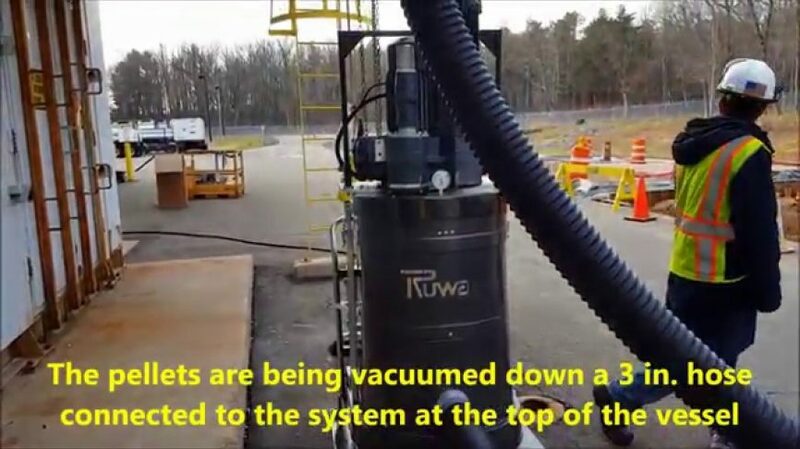 This separation system will collect and separate both wet and dry materials such as sludge, bulk grains and bulk chips, cement dust from concrete plants, and heavy dusts into a self tipping dumpster (available in ½ to 2 cubic yard capacities) before they reach your vacuum. 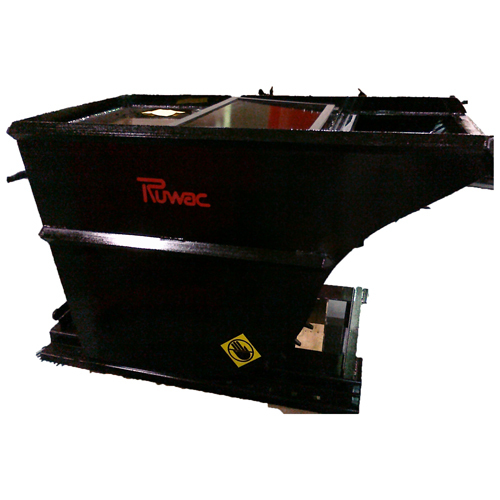 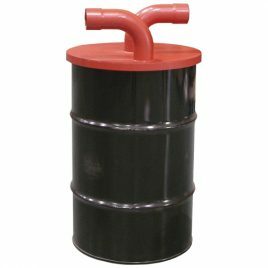 The dumpster separator features a self-dumping hopper with a counter-balanced return alongside fork lift pockets for easy mobility and disposal.